To understand darkness one need turn inward, focusing upon the self, recognizing judgment, which is at the very root of not love; it is indeed judgment that prohibits the self from being open to another, that prohibits the self from sharing of the self completely. It is the lesson plan that demands judgment of all others as well as the self. The ego prefers to focus upon others; failing that, the self becomes the target. The self is measured against all others; competition employed by the ego to keep the self in competition against all that are believed to be better than the self. It is this individual that surrounds the self with those that are weaker than the self, for in this way the self can remain aloof, prohibiting entry by those who are believed to be less than the self. These individuals of course will be small in number, for the majority of those who come within the self’s sphere are judged to be superior. To truly understand darkness, one must recognize darkness within the self, be willing to speak of it with another - without excuse making, without justification, without rationalization for the self’s behaviors - confessing all that is seen by the self within the self. It is to then seek the assistance of the others, all others, to aid the self in seeing the behaviors as soon as they appear in future, so that choice may once again be made to retain the behavior or to destroy it, replacing it with the behavior that is rooted in love. It is the darkness within that prohibits the self from changing. Darkness calls forth great emotion that results in anger or complete confusion; sorrow is often experienced by one who is unable to overcome the confusion. The student that fails to recognize the behaviors of the self that are rooted in darkness is the student that allows the lesson plan to choose for the self. Automatic response by informed behaviors is experienced by the student that remains unaware that choice is indeed available at all times; yet, the self has determined that unawareness is preferred, that protection and defense of the current self is indeed what is desired. Failure to recognize that defending and protecting the self creates negativity that is then stored within the bodies, results in the self’s inability to recognize that the self is indeed engaged; for these energies all call for continued defense, continued protection of the self. It is my duty to draw forth that which lies within each of my students; this action is not to cause discomfort or pain for the self - it is to provide opportunity for the self to choose. It is when the self chooses - again and again and again - protection and defense that the Teacher begins to reevaluate the student-Teacher relationship, for the Teacher does not seek to impose change upon one who is unwilling to change; rather, the Teacher provides opportunity to those who have sought such. To understand the experiences of our sister is to recognize that the student oftentimes travels a path that is difficult, potentially impossible to recognize when darkness overwhelms the self. It is for each student to recognize that darkness need be drawn forth, externalized, vocalized, illumined by the scrutiny of others; for if darkness is harbored, provided indeed with safe harbor, darkness will destroy the self. 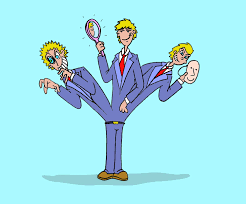 The student that listens to the ego, continuing to hide that which has been exposed, prohibiting others from seeing the self as damaged, as one who is in need of assistance, says that the student prefers to endorse the lesson plan - Denial primarily, Separation secondarily; for even though the individual is weak, flailing, suffering, the ego will not allow the self to seek assistance, to seek relief, to seek understanding. The self chooses to bare the self to another or to continue to provide safe harbor to the darkness that lies within.